US-based Rockport draws on generations of shoemaking to create footwear that merges the comfort of athletic shoes with the smart, sophisticated look of dress and casual styles. Whether you are looking to dress to impress or empower your unique style, Rockport has a shoe for you. With Big Apple Buddy’s personal shopping service, you can now buy direct from the Rockport online store anytime, anywhere. The Rockport DresSports Luxe Waterproof Plaintoe Chukka is a versatile shoe that can be worn casually with jeans or styled as a dress shoe. It offers waterproof leather, a seam sealed, waterproof insole, a gusseted tongue and special lining to help keep feet dry and warm in every kind of weather. Its burnished leather becomes better with wear and unique cushioning provide lightweight support and comfort. 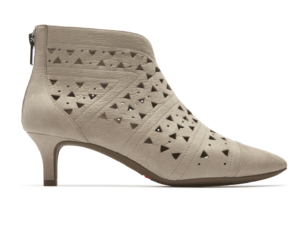 The Rockport Total Motion Kalila Perf Shootie is the shoe that you can wear everywhere and anywhere. This mid-height, heeled shootie is crafted from soft, full grain leather and finished off with a foam-backed lining to give it a comfortable fit. This is the perfect shoe for stability and support. The Rockport Christy Waterproof Tall Boot is a gorgeous high shaft equestrian styled boot, made from seam-sealed waterproof leathers. 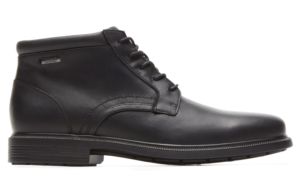 Its attention to detail and elegant features are what makes this boot stand out from the rest. 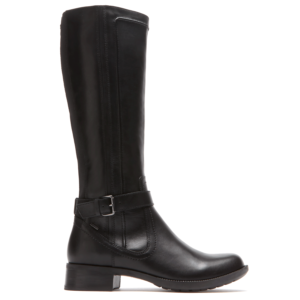 This is a convenient and practical boot that offers style and comfort on even the rainiest of days. Unfortunately, the USA Rockport online store does not currently offer international shipping. However, Big Apple Buddy, your personal shopper, can help you buy products direct from the official USA Rockport online store and ship them to your doorstep, no matter where you are in the world. If you would like to buy from the USA Rockport online store, simply let us know which items you would like to order (by filling out the form below) and we’ll get back to you with a free international shipping quote within 24 hours!